Alejandra works as a Global Segment architect for Communications and Branding at Shell. 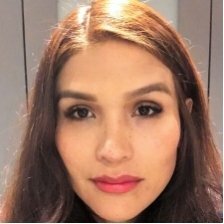 Alejandra develops digital architectures for the shell.com, DAM, Chatbots and several other digital projects; her focus is to develop digital architectures that can help Shell to respond effectively to customer demands. She has lived in The Hague for several years, working at Shell, International Baccalaureate and Inter IKEA. In 2014, she led a team to win first place at Startup Weekend Eindhoven with VRroom, an app that utilises Google Cardboard to create 3D virtual reality showrooms for Do-It-Yourself stores.